Recovering from a near-fatal gunshot wound, eighteen-year-old Evan Taylor must find a way to stop the Uprising, an underground movement committed to destroying the Union, before her homeland is attacked.After spending the last four months in the Ruins trying to get back to the only girl he's ever loved, nineteen-year-old Cyrus needs to get past his jealousy over Evan's involvement with Bryce or risk losing her again. Together, Evan and Cyrus join with their friends to devise a plan to save both the Ruins and the Union, but when the pressure’s on, bickering and infighting threaten to undermine their goals. 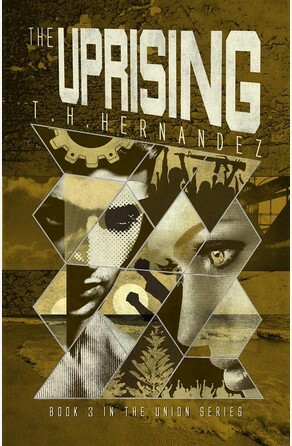 New information revealing a weakness in the Uprising is uncovered, forcing them to act quickly or risk losing everything.With the help of old friends and new allies they set out to make history, but it might just take a miracle for everyone to make it out alive.THE UPRISING is the third book in THE UNION series, a young adult romantic adventure set in the near future.